Let safety be your guideline. Your back is essential to almost everything you do. Walking, sitting down, lifting. You couldn’t do it without the help of your back. 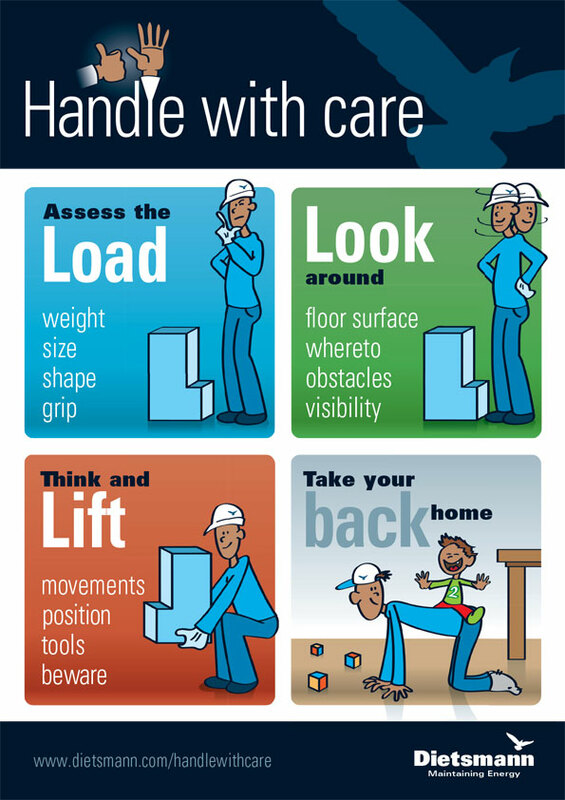 So when handling materials at work, care for your back. Lifting a heavy object, or simply lifting the wrong way may cause an acute back injury. But in the long term, it may even get worse. Repetitive handling and lifting of materials without proper care, may cause chronic damage to your spine column and ultimately lead to permanent invalidity.